For over 25 years ISA has provided students the opportunity to explore and study around the world. Program offerings are high-quality and cover the globe. Locations include Africa, Asia, Europe, Latin America, the Middle East, and the Pacific. The Asia sites have a wide range of course offerings amongst ancient cultures and distinctly different traditions. If you're looking for world-famous cities, diverse travel opportunities, museums and art, culture and beauty scan the leading universities within the European countries. Breathtaking natural wonders, outdoor activities and strong academics make the locations in the Pacific a sure thing for the friendly, easy going sport enthusiast. And the politically-minded or human-rights student may be interested in the Middle East or Latin America. Internships and service-learning opportunities are available in almost all locations. All programs offer courses in English for all areas of study. 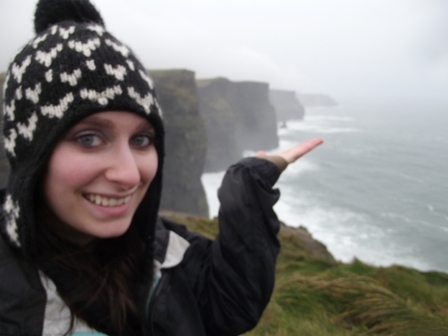 Jamie Parker: UAS student in Ireland shows us where Harry Porter and Dumbledore enter the cave in search of a horcrux.